Sam Rockwell has taken the lead role in the drama “We’re Just Married,” which has been acquired for international sales by The Exchange and will debut at the 2017 European Film Market. Also starring Lily Rabe and Chris Messina, “We’re Just Married” follows a suburban housewife named Mary at the onset of the 1970s who ends her marriage after having an affair with a neighbor, wrecking havoc on her quiet cul-se-sac. Directed by Rodrigo Garcia from a script by David Rabe (“The Firm”), “We’re Just Married” is produced by Lily Rabe and Bettina Barrow. Known for his roles in “Moon,” “Confessions of a Dangerous Mind,” and “The Way Way Back” among others, Rockwell is represented by Untitled Entertainment and The Gersh Agency. The Exchange will be introducing “We’re Just Married” at the 2017 European Film Market, held in Berlin February 9-17. WME Global is handling domestic rights. Now that we've talked out "Black Mirror" Season 3 with our therapist, it's time to think about Season 4 of Charlie Brooker's masterful Netflix series. Here's everything we know so far about Season 4, including when it will likely return. The "Silence of the Lambs" star knows a little something about horror. And her work on "Contact," another bit of sci-fi social criticism, will prepare her well to work on "Black Mirror." This sounds like a marriage made in San Junipero. DeWitt, whose latest role is in "La La Land," also led the 2015 remake of "Poltergeist." That should prepare her well for the haunted world of "Black Mirror." Charlie Brooker said in a recent interview with The Telegraph that Foster's episode will have"the tone of an indie movie, an indie drama. There's a mother and daughter relationship in it." When Netflix ordered 12 episodes of the anthology, it decided to split them up into two seasons of six episodes each. It will probably return in the fall since 1) that's when Season 3 aired 2) Netflix hasn't announced an earlier date. 5. One episode will be "overtly comic"
Much of Season 3 was shot in South Africa. Season 4 will go in a very different direction, climate-wise. "One's shooting in Iceland, which hasn't been announced yet," Brooker told The Telegraph. So at least one episode will be chillier than "White Christmas." In an interview with The Hollywood Reporter, "San Junipero" director Owen Harris said he wouldn't direct any "Black Mirror" Season 4 episodes because of scheduling conflicts. 8. But that's okay, because you shouldn't want a "San Junipero" sequel. Harris said any sequel to the Mackenzie Davis-Gugu Mbatha-Raw love story wouldn't necessarily be happy. "Charlie Brooker [pictured] might not want to do two happy endings!" 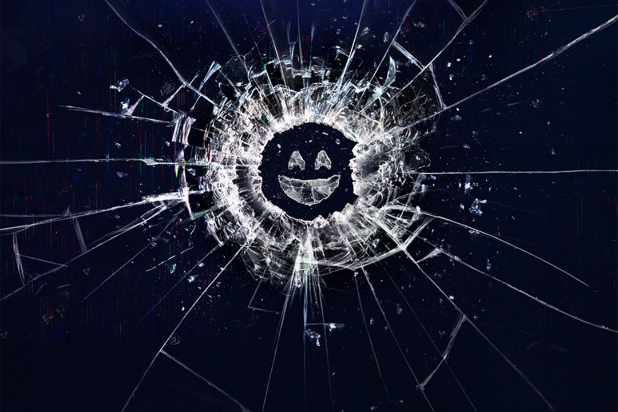 ... and this gallery of All 13 "Black Mirror" Episodes Ranked From Good to Mind-Blowing.